In Brazil, professional civil liability is characterised as contractual, once it arises from the violation of a duty set out in a particular contract that governs the rendering of professional services. In other words, it is the obligation to indemnify the damage caused during the exercise of an independent or subordinate profession as a result of a professional error. In general, legal regulation is provided by the Civil Code, the Consumer Defence Code and administrative rules governing specific professions, which are subject to special rules in view of their inherent risk, as will be addressed in Section II. In this sense, Article 14, Section 4 of the Consumer Defence Code establishes that the liability of the freelancer3 will be subjective or fault-based (i.e., the fault must be demonstrated, along with the professional error, the damage and the causal link). However, not all cases of professional liability will be governed by the traditional regime of subjective liability, either because not all will be considered consumer relationships or because the nature of the obligation – whether of means or result – will be decisive for the definition of the nature of the civil liability itself. In general, under an obligation of means the professional is obliged to undertake technique and diligence in his or her practice to obtain the required result, but without guaranteeing this result at the end. As a rule, the obligations of a doctor and a lawyer are obligations of means, as they do not assure a particular outcome, such as healing a patient or being successful in a lawsuit. Nonetheless, such professionals must act diligently and in compliance with the available and adequate techniques, otherwise they will be responsible for any damage caused by negligent performance. Consequently, the fault-based regime applies to obligations of means as the professional will be liable when executing professional obligations with negligence, recklessness or malpractice – in other words, fault. On the other hand, under obligations of result the professional is not only required to act diligently, but also to obtain the expected result. Therefore, non-achievement of the result will entail liability for any damages arising. As an example, the work of a contractor is an obligation of result because only the completion of the work within the agreed terms and conditions will discharge the contractual obligations. Once these differences are understood, a question arises as to defining in practice whether the professional activity is classified as an obligation of means or of result. Once the nature of the obligation is defined, and given that an obligation of result does not require evidence of fault, an important distinction must be made as to whether the professional liability will be strict liability. The answer is negative. This is because fault is never discussed in strict liability, nor as a matter of defence. It is up to the creditor to simply demonstrate the unlawful act, the damage and the causal link. Therefore, it differs from the fault-based liability applicable to obligations of means, where the burden of proof regarding the fault lies with the creditor, who must demonstrate not only the damage and the causal link, but also the negligence of the professional. Aside from the burden of proof, there are other defences, such as acts of God and force majeure, exclusive fault of the victim and third-party acts. In addition, it is also possible to apply contractual clauses limiting or exonerating the obligation to indemnify. However, such clauses will not be valid in cases of liability for gross negligence or wilful acts, or, for example, when inserted in adhesion contracts or consumer agreements. So far, we have addressed the responsibility of the professional who directly causes the damage as a result of his or her own act. However, there are situations where the professional is an employee or representative of a certain company, giving rise to civil liability through the act of a third party. This scenario is covered by Article 932(II), of the Brazilian Civil Code, which establishes, that 'the employers or principals are also responsible for civil reparation for their employees, servants and agents in the exercise of their work, or in their name'. This responsibility does not depend on the employer being at fault, and the employer will have the right of recovery against the employee to be reimbursed for payment made on the employee's behalf, as provided by Articles 933 and 934 respectively. Thus, liability for a third party is strict, once the employer is liable 'for the actions of its employees because it creates the risk of the damage that the employee may cause, by hiring him to develop activity in its benefit'.6 However, the employer will only respond if the subjective responsibility of the employee is demonstrated in accordance with the nature of the obligation, whether of means or of result. However, it is important to emphasise that the limitation period may change depending on the type of profession and whether it is defined as a consumer relationship. 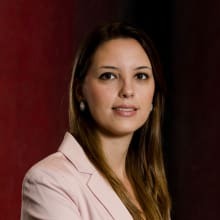 The state courts are competent to judge the negligence lawsuits, which will follow the procedural rules of the Brazilian Code of Civil Procedure. As a rule, lawsuits for damages must be filed at the place of the defendant's domicile, as provided in Article 46 of the Brazilian Code of Civil Procedure. However, special rules may apply, such as in the case of lawsuits against professionals, which can be filed at the place of the domicile of the plaintiff or defendant, according to Article 101(I), of the Consumer Defence Code. In general, the proceeding is public and based on conciliation as a form of consensual solution. The parties must bear the cost of filing a claim and certain appeals, which vary according to each state. In addition, the losing party will be sentenced to pay the costs incurred by the other party, as well as the legal fees for the lawyer of the winning party, and which will be set by the judge and may vary between 10 per cent and 20 per cent of the value of the award or the economic benefit obtained. An arbitration procedure, regulated by Law No. 9307/1996, is also an option. Despite its advantages, such as confidentiality, arbitrators' specialist experience, and speed, there is no recourse to appeal and the costs are high therefore this option is only commonly adopted in strategic cases. Finally, there is the possibility of entering the lawsuit before the Special Civil Courts, offices of the judiciary who assess cases of a lesser degree of complexity and of a value up to 40 times the Brazilian minimum wage (currently 38,160 reais). The parties are exempt from the payment of costs and the lawsuit must be filed at the place of the defendant's domicile or, if it is a lawsuit for damages, the author's domicile or the place where the act took place, according to Article 4 of Law No. 9099/95. A professional error can cause three types of damage: property damage, pain and suffering, and disfiguring damage. In Brazil, there is no concept of 'punitive damages' as in US law. According to the general rule of Article 944 of the Brazilian Civil Code, 'the indemnity is measured by the extent of the damage'. The principle of full compensation is applicable therefore the matter of fault does not bear on the amount of compensation, except in situations where there is 'excessive disparity between the seriousness of the fault and the damage', as provided in Article 944. Specifically regarding obligations of means, both doctrine and case law have been applying the theory of loss of chance to quantify the compensation. This is because it is impossible to guarantee that had the professional acted diligently the result would certainly have been reached. The activity of advocacy is regulated by Law No. 8906/94 and by Resolution No. 02/2015 of the Brazilian Bar Association (OAB), which approved the OAB Code of Ethics and Discipline. While the Code of Ethics establishes the principles that guide the conduct of lawyers, Law No. 8906/94 provides for the practice of advocacy and the rights of the lawyer, the requirements for registration, disciplinary infractions and sanctions, among other things. As to liability, Article 33 of Law No. 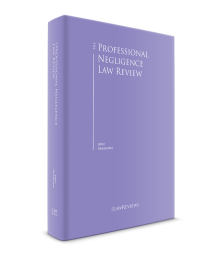 8906/94 states that 'the lawyer is responsible for actions committed with fraud or negligence in the exercise of the profession' (i.e., the subjective liability regime applies). There is an interesting question regarding liability for advice given by means of legal opinions. Some authors believe that the lawyer would only be liable in cases of fraud, while there is an opposite view that the demonstration of fault is the only requirement.14 In this regard, Article 32 states that 'the lawyer is responsible for actions committed with fraud or negligence in the exercise of the profession'. In addition, Article 33 provides for a singular situation of liability in cases of reckless claims, where 'the lawyer is jointly liable with his client, if they have colluded to harm the opposite party, which will be verified in the specific lawsuit'. The medical profession is governed by Resolution No. 1931/2009 of the Federal Council of Medicine, which approved the Medical Code of Ethics. Article 1 of the Resolution establishes that the doctor is prohibited from 'causing harm to the patient, by action or omission considered as malpractice, recklessness or negligence'. Article 1 adds that 'medical liability is always personal and cannot be presumed'. In other words, it confirms the medical professional's subjective responsibility derived from the obligation of means. Also, Article 22 states that the physician must obtain consent from the patient or the patient's legal representative after explaining and clarifying the procedure to be performed, except in cases of imminent risk of death. Even if the consent is obtained, the doctor shall assume responsibility for the professional act, in accordance with Article 4. II – the supply of food to the people to whom the victim owed them, taking into account the likely duration of the victim's life. In the event of injury or other health offence, the offender shall indemnify the treatment expenses and lost profits until the end of the convalescence, in addition to other losses. In the event of a defect preventing the victim from exercising his or her profession or decreasing his or her ability to work, the compensation, in addition to treatment expenses and loss of profits until the end of the convalescence, shall include a pension corresponding to the importance of the work for which the victim is incapacitated, or the depreciation suffered. According to Article 3, Section 2 of the Consumer Defence Code, banking activity is governed by the Code, regardless of the credit operation practised, as stated in Superior Court of Justice Binding Precedent No. 297. The banks' liability is strict, according to Article 14 of the Consumer Defence Code, which establishes the general rule that 'the service provider responds, regardless of the existence of fault, for the repair of damages caused to consumers by defects in the rendering of services, as well as by insufficient or inadequate information on their use and risks'. The liability of banking institutions can only be waived if there is proof of non-existence of a defect in the service or if the consumer or third party's exclusive fault is established in accordance with Section 3 of Article 14. The Superior Court of Justice has also issued Binding Precedent No. 479, which states that 'financial institutions are strictly liable for damage caused by fortuitous internal fraud and offences committed by third parties in banking transactions'. There is no specific regulation of computer and information technology professions, nor any applicable Professional Council. The purpose of the ongoing Bills No. 5101/2016 and No. 3065/2015 is to regulate the profession of systems analyst and others related to it. These bills aim to regulate the technical and training requirements necessary for the exercise of the profession and the creation of the Federal Informatics Council and regional Computer Science Councils, agencies that would be responsible for supervising the exercise of the professions. However, there is no provision regarding the civil liability of such professionals. Therefore, the general liability regime based on the assessment of fault applies to computer and information technology professionals. There is no professional category of real property surveyors in Brazil. Engineers and architects, whose responsibility is addressed in Section II.vi below, generally carry out this kind of work. Engineers, architects and contractors who assign a construction agreement are required to provide results, as the work must be delivered in accordance with the contracted project and the agreed term. In this context, Article 622 of the Brazilian Civil Code establishes that 'if the execution of the work is entrusted to third parties, the author's responsibility for said project shall be limited to damages resulting from defects set out in Article 618, if the author is not in charge of leading or supervising the project'. Finally, Article 618 of the Brazilian Civil Code establishes that liability shall be objective in building contracts or other significant constructions where the material and execution provider shall be liable for the irreducible period of five years for the soundness and safety of the work, and for the materials and the soil. In this case, the provider will respond for a period of five years, with the owner of the project having 180 days to file a lawsuit, according to Article 618. The profession of accountant is regulated by Decree-Law No. 9295/1946, which requires professionals to prove their attainment of a bachelor's degree in accounting sciences, approval in the Sufficiency Examination and registration with a regional accounting council. The above-mentioned Decree also created the Federal Accounting Council and the regional councils – administrative agencies responsible for monitoring the exercise of the accounting profession. Law No. 6385/1976, which regulates the securities market in Brazil, establishes in Article 26 that 'only accounting firms or independent accounting auditors registered at the Brazilian Securities Commission may audit the financial statements of publicly held companies and of institutions, companies or corporations that make up the system of distribution and intermediation of securities, for the effects of this Law'. Furthermore, Paragraph 2 of Article 26 provides that such professionals 'shall be subject to civil liability for any losses caused to third parties as a result of fraud or fault in the exercise of the functions provided for in this article', thereby adopting the subjective liability regime. The insurance professionals regulated in Brazil are insurance brokers and actuaries. Insurance brokers are regulated by Law No. 4594/1964, Decree-Law No. 73/1966 and the resolutions and rules issued by the National Council of Private Insurance and the Superintendence of Private Insurance (SUSEP). According to Article 1 of Law No. 4594/1964, the insurance broker, a legal person and entity, 'is the intermediary legally authorised to get customers and promote insurance contracts, admitted by the legislation in force, between insurance companies and individuals or legal entities, of public or private law'. The exercise of the profession depends on obtaining the qualification certificate, issued by SUSEP, under the terms of Article 123 of Decree-Law No. 73/1966. Civil liability of insurance brokers is regulated by Article 126 of Decree-Law 73/66, which applies the fault liability regime. Article 127 also establishes the professional responsibility of the broker for non-compliance with laws, regulations and resolutions in force. Furthermore, Article 20 of Law No. 4594/64 specifically states that 'the broker shall be professionally and civilly liable for inaccurate declarations contained in proposals signed by him, regardless of the sanctions that may be applicable to others responsible for the infraction'. On the other hand, the actuarial profession is regulated by Decree-Law No. 806/1969 and Decree No. 66408/1970, which define the requirements for the exercise of the profession and the activities of the professional actuary. As there is no specific liability regime, the applicable general regime is provided by both the Civil Code and, where relevant, the Consumer Defence Code. Brazil has a civil law legal system, therefore, its primary source is codified law. Consequently, and considering the complex legislative procedure required to change the law, the legal framework for professional liability does not undergo frequent modification. In this context, recent legislative changes in the professional liability have only been observed in the specific laws applied to lawyers and veterinarians. A new Code of Ethics and Discipline for Advocacy came into force on 2 May 2016. Among the main innovations, we would highlight: (1) the regulation of pro bono advocacy; (2) new ethical duties for the directors of the OAB; (3) new rules to make the disciplinary process faster; (4) introduction of an ethical principle that obliges lawyers to encourage extrajudicial means of settling disputes, such as mediation and conciliation; and (5) permission to publicise legal services by electronic means, such as social networks, in a moderate manner and without attempting to attract clients. Violation of any of the rules set out in the Code may give rise to a disciplinary proceeding to assess the administrative responsibility of the professional. It may be initiated by the OAB or by a complaint presented by the interested party, and the administrative liability will be independent of the civil responsibility towards clients or third parties. Regarding the veterinary medicine professional, a new Veterinarian's Code of Ethics (Resolution No. 1138/2016 of the Federal Council of Veterinary Medicine) came into force on 9 September 2017. The new Veterinarian's Code maintains the provision of subjective responsibility for wrongful or negligent actions. A modification proposed by the Code extends the professional responsibility of veterinarians in the administrative and civil spheres, even where the veterinarian has engaged in certain conduct at the client's request. Therefore, it is the professional's responsibility to advise the client about the safest and most recommended procedures, without exonerating himself or herself from responsibility for choosing an inappropriate treatment (even if it is at the express request of the client). We highlight below relevant case law recently issued by the Superior Court of Justice. On 10 November 2016, the Superior Court of Justice26 dismissed the civil responsibility of a hospital for a medical error caused by a physician who was not subordinated to the hospital. The Court found that the hospital's facilities were used only for medical care, the professional had been individually chosen by the patient and the members of the hospital had no participation in the treatment provided. As the doctor had no employment relationship, the hospital was not found liable because of the rupture of the causal link between the activity undertaken and the result, according to fault-based liability. The Superior Court of Justice has held that the responsibility based on the theory of the loss of chance applies because: (1) there is a concrete and real chance of obtaining a benefit or decreasing the chances of suffering injury; (2) an action or omission of the defendant has resulted in the loss of opportunity to exercise the chance; and (3) the harm is not the lost benefit, because this is always hypothetical. Professional liability insurance is an important instrument for the management of professional risks and its use is fully established and continues to develop and grow in Brazil. According to data provided by SUSEP, liability insurance showed a 35.6 per cent increase from January to August in 2017 in comparison with the same period in 2015, with premium collection increasing from 154.5 million reais to 209.5 million reais. Still, the expectation is that it will grow 10 per cent in 2018, along with other civil liability insurance. The increase in demand for professional liability insurance can be explained by the evolution of the civil liability system and the increasing number of cases where professionals are found liable. Professional liability insurance, also known as errors-and-omissions (E&O) insurance, guarantees the insured the reimbursement of compensation that he or she is due because of the occurrence of a failure or professional error, in addition to the defence costs incurred in judicial or administrative claims filed by third parties. The insured is the professional individual or legal entity. Insurers make available specific products according to the professional practice. E&O insurance is commonly retained by health professionals (doctors, nurses and dentists, as well as hospitals and clinics), engineers, architects and designers, lawyers and law firms, accountants, real estate brokers, insurance agencies, advertising and publicity agencies, travel agencies, technology and information professionals, notaries, real estate managers and educational institutions. The purpose of the insurance is to provide financial protection to the insured from failures committed in the exercise of the profession. E&O insurance guarantees the liability of the professional towards clients in respect of professional errors that cause damage, unlike general liability insurance, which guarantees the liability of the insured against third parties, whether or not they have a contractual relationship with the insured; and unlike the liability insurance of company directors and officers (D&O), which guarantees the personal liability of managers in respect of management acts. E&O insurance is usually provide by way of a claims-made policy, which requires that: (1) the wrongful act (the professional failure) is committed during the policy period or the retroactivity period; and (2) the claim presented by the third party is filed during the policy period or within an additional term. The retroactivity period shall be determined by the insurer when underwriting the policy, according to the risk, the previous policies and claims. The date will act as a deadline within which the professional failure, necessarily unknown to the insured at the time of contracting, must have occurred. In other words, any errors committed prior to the retroactivity period are excluded from coverage. The additional period corresponds to an extra term for submission of third-party claims; this will be a term of at least one year, but the parties are free to negotiate this. The main exclusions from coverage are: intentional illicit acts, as long as they are acknowledged as such by a final judicial or arbitral decision; payment of taxes; fines or penalties directly suffered by the insured; claims arising from labour liability; environmental damage; unfair competition; corruption, fraud and dishonesty; discrimination and assault; and bankruptcy and insolvency. It is important to note that the coverage will be directly linked to the extension of the liability of the insured, in accordance with the applicable liability regime and the limits established by the contract with the client. By means of such insurance, the insured's assets will be protected in the event that the insured is found liable to compensate the client for a professional failure. In this sense, E&O is an important instrument to mitigate risk and grant economic protection to the professional activity. 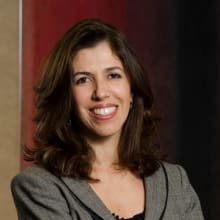 1 Marcia Cicarelli is a senior partner and Camila Affonso Prado and Laura Pelegrini are junior partners at Demarest Advogados. 2 Cavalieri Filho, Sergio. Programa de responsabilidade civil. 7. ed. São Paulo: Atlas, 2007, pp. 358–359. 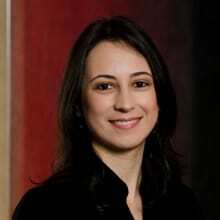 3 Vanessa Donato de Araujo explains that a freelancer is 'one who works independently, in an autonomous manner, and who exercises his activity with full freedom, choosing the clients he will meet, determining the value of the service rendered, and other conditions of the contract to be entered into with the creditor'. Araujo, Vaneska Donato de. A responsabilidade civil professional e a reparação de danos. Master's Dissertation. Faculdade de Direito da Universidade de São Paulo, 2011, p. 157. 4 Araujo, Vaneska Donato de. A responsabilidade civil professional e a reparação de danos. Master's Dissertation. Faculdade de Direito da Universidade de São Paulo, 2011, pp. 154–155. 5 Araujo, Vaneska Donato de. A responsabilidade civil professional e a reparação de danos. Masters' Dissertation. Faculdade de Direito da Universidade de São Paulo, 2011, p. 156. 6 Araujo, Vaneska Donato de. A responsabilidade civil professional e a reparação de danos. Master's Dissertation. Faculdade de Direito da Universidade de São Paulo, 2011, p. 164. 7 Araujo, Vaneska Donato de. A responsabilidade civil professional e a reparação de danos. Master's Dissertation. Faculdade de Direito da Universidade de São Paulo, 2011, p. 167. 8 Superior Court of Justice, REsp. 1.067.194, Judge Sidnei Beneti, ruling: 16 December 2008. 9 Superior Court of Justice, EDcl REsp 704.272, Judge Maria Isabel Gallotti, ruling: 2 August 2012. 10 Superior Court of Justice, REsp 1.150.711, Judge Luis Felipe Salomão, ruling: 6 December 2011. 11 Superior Court of Justice, AgRg Ag 1.208.663, Judge Sidnei Beneti, ruling: 18 November 2010. 12 Savi, Sérgio. Responsabilidade civil por perda de uma chance. São Paulo: Atlas, p. 63 and p. 80. 13 Superior Court of Justice, REsp 1.677.083, Judge Ricardo Villas Bôas Cueva, ruling: 14 November 2017. 14 Dias, José de Aguiar. Da responsabilidade civil. 12. ed. Editora Lumen Juris: Rio de Janeiro, 2011, pp. 353–354. 15 Gonçalves, Carlos Roberto. Responsabilidade civil. 9. ed. São Paulo: Saraiva, 2006, p. 393. 16 Dias, José de Aguiar. Da responsabilidade civil. 12. ed. Editora Lumen Juris: Rio de Janeiro, 2011, p. 359. 17 Cavalieri Filho, Sergio. Programa de responsabilidade civil. 7. ed. São Paulo: Atlas, 2007, p. 377. Diniz, Maria Helena. Curso de Direito Civil Brasileiro: Responsabilidade Civil. 21. ed. São Paulo: Saraiva, 2007, pp. 295–298. 18 Venosa, Sílvio de Salvo. Direito Civil: Responsabilidade Civil. 14.ed. São Paulo: Atlas, 2014, p. 148. 19 Superior Court of Justice, REsp 1.097.955, Judge Nancy Andrighi, ruling: 27 September 2011. 20 Venosa, Sílvio de Salvo. Direito Civil: Responsabilidade Civil. 14.ed. São Paulo: Atlas, 2014, p. 168. 21 Superior Court of Justice, REsp 605.435, Judge Nancy Andrighi, p. 2 of Judge Raul Araújo vote, ruling: 14 September 2011. 22 Superior Court of Justice, REsp 1.184.932, Judge Castro Meira, ruling: 13 December 2011. 23 Araujo, Vaneska Donato de. A responsabilidade civil professional e a reparação de danos. Master's Dissertation. Faculdade de Direito da Universidade de São Paulo, 2011, pp. 217–218. 24 Araujo, Vaneska Donato de. A responsabilidade civil professional e a reparação de danos. Master's Dissertation. Faculdade de Direito da Universidade de São Paulo, 2011, pp. 217–262. 25 Araujo, Vaneska Donato de. A responsabilidade civil professional e a reparação de danos. Master's Dissertation. Faculdade de Direito da Universidade de São Paulo, 2011, pp. 217–272. 26 Superior Court of Justice, REsp 1.635.560, Judge Nancy Andrighi, ruling: 10 November 2016. 27 Superior Court of Justice, REsp 1.662.338, Judge Nancy Andrighi, ruling: 12 December 2017.